The uPVC tilt and turn windows never fail to inspire, unique design is movable across many different characteristics. Enriched with fascinating character such as adaptability and next generation designing, Tilt & Turn Windows provide more than supporting environment causes, uPVC Tilt and turn windows gives a practical way to save the energy in buildings which is Ideal for modern homes, it will be a good choice to opt for best quality uPVC doors & windows instead of thinking why to choose this finest fenestration option. This is where UPVC takes the crown. The product substantial is efficient material that a wipe or two a year is sufficient to keep the windows and doors squeaky clean. Plus, maintenance costs are massively low as compared to wood or iron fenestration materials. 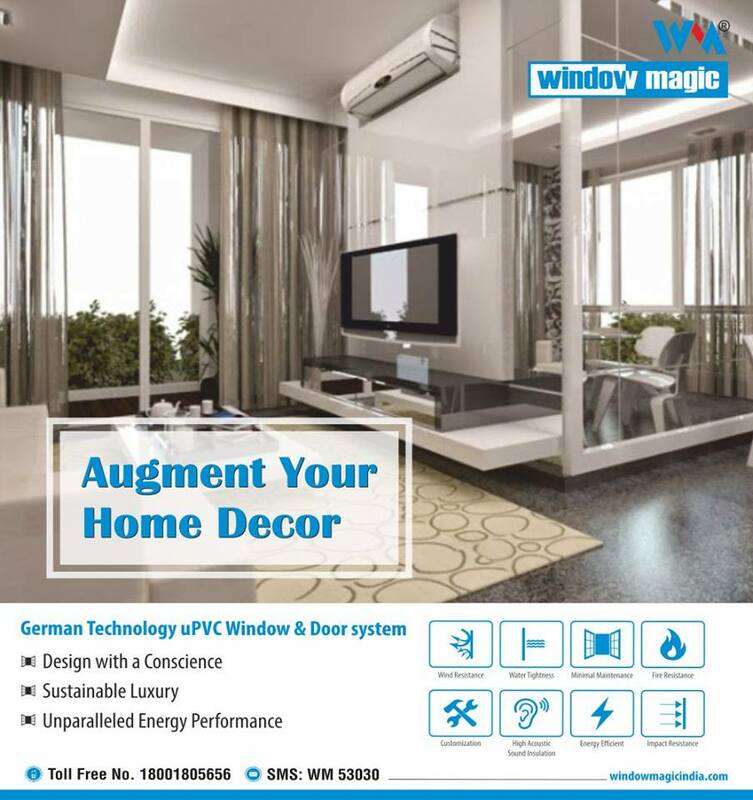 Window Magic Pvt Ltd is a leading uPVC Windows and Doors manufacturing company. With the extreme knowledge of India’s weather conditions, Window Magic has manufactured and designed windows and doors that are able to handle India’s extreme climatic conditions. We are the best known uPVC windows and doors manufacturer in Gurgaon. Window Magic is involved into manufacturing, sales and service providing. uPVC profiles are of selected premium quality with high scientific structural design, and are manufactured using German technology equipment. We consider customer requirements and based on that we provide end to end fenestration services ranging from selecting initial right designs, site survey, right time delivery and installation. The uPVC product collection also includes coated profiles with base color & matching shades. It has done several installations of windows and doors where the experience of our customer in taking our services is excellent with no complaints. Window Magic’s products are easy to handle and needs less maintenance. Therefore, if you are looking for uPVC windows and doors then opt for Window Magic and give your house an elegant touch at reasonable price.